With its high horsepower, the 4WD diesel cut and collect Kubota GR2120-II meets the need of amateur or commercial garden requirements alike. 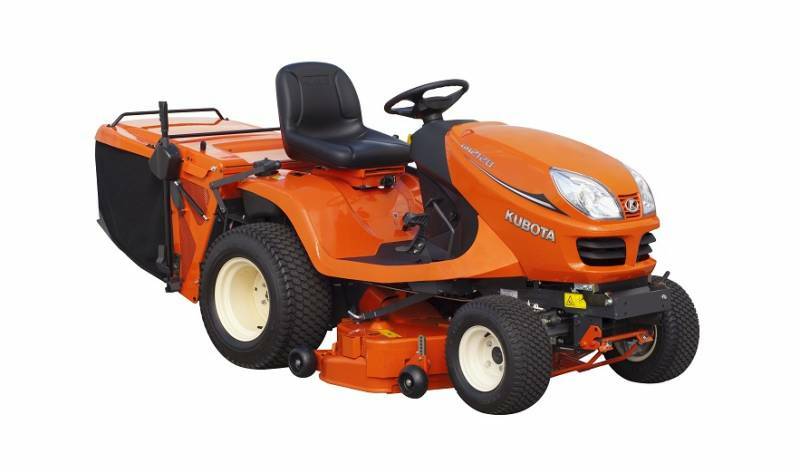 The Kubota GR2120-II incorporates Kubota’s revolutionary Glide Steer system which enables it to turn more sharply than a conventional mower. Other features of the Kubota GR2120-II include an easy dial cut height adjustment, hydraulic power steering, HST and a hydraulic mower lift.